Welcome to ABC Gems 2.0! Our beta version of our new website is now live and we are excited to show it off! We’ve been servicing the gemstone and jewelry industry for over 30 years now, always going above and beyond to give our customers everything they need to succeed. Times have changed since we first started back in the 80’s and so we have to change with it. 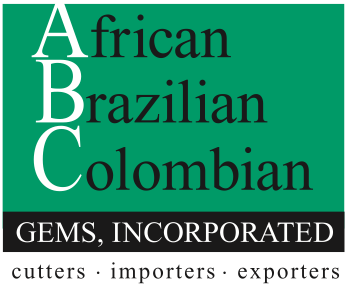 In an effort to make sure our customers have the right tools at the right time, we are bringing ABC Gems to the 21st century. Our new tech driven approach will aim to make the sourcing process more efficient and effective for our customers. Access to inventory: Gone are the days of bad cell phone photos and shipping costs! Now through your customer login, you’ll be able to access every piece of information and media on every stone in our inventory. From origin to treatment type, you’ll have all the information at your finger tips. Customer Portal: Shipment tracking, memo history, and billing payments will all be able to do online through your login. As more companies move their interactions online, we understand having this option makes things easy and seamless. Online Applications: For new customers, applying for an account will no longer require emailing and scanning applications, simply apply online. Account Privileges: Customers who set up customer portals will have access to ongoing discounts and offers. Along with launching the new ABCGems.com, we will be offering more service options. We know how important education is in this industry, and not only to customers, but to your staff as well. Because of this we will be releasing more content and do free training sessions to make sure everyone is up to date with the latest in gemstones. Make sure you are signed up to our newsletter for all our updates and specials! Design by Wildside Design Co.